This amazing ceramic art work is one of 99heads’ masterpieces. 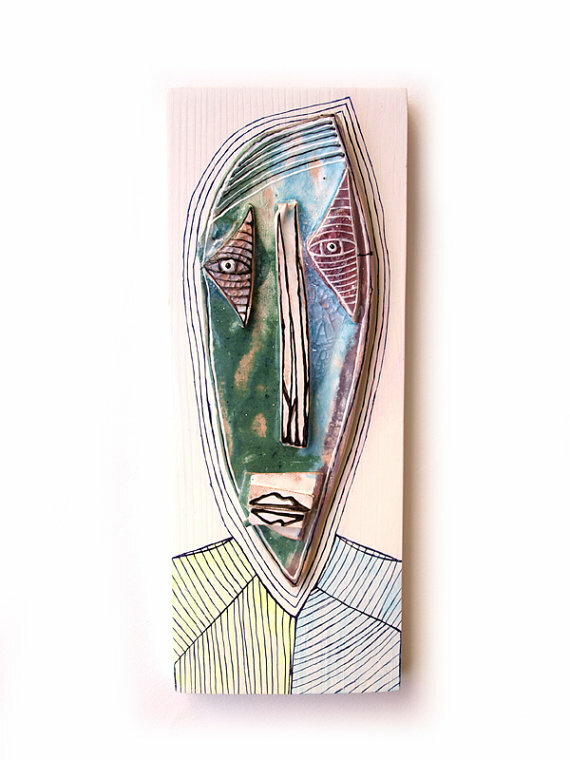 It is inspired by the vast and infinite space. We used a special technique to create this space effect and it’s been real fun for us working on the other elements on the face, making it look more like an outer space creature. 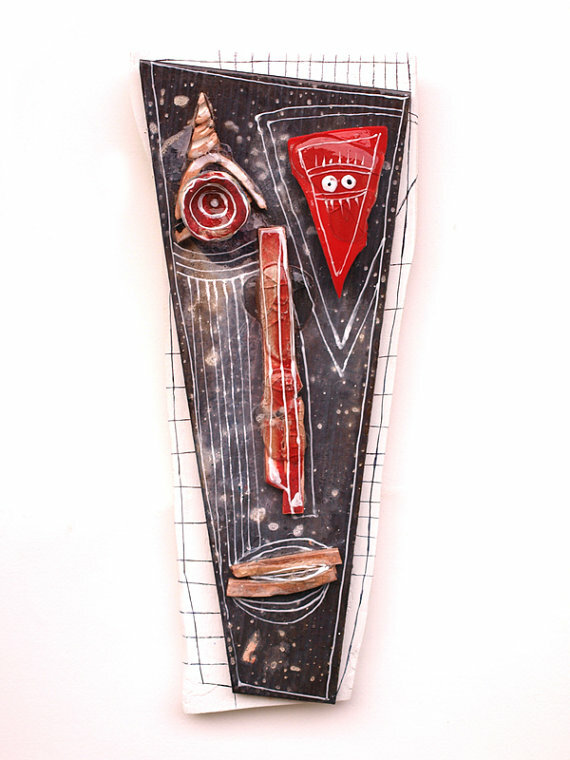 This is a ceramic space face, glazed and then placed on a white wooden board, decorated with black stripes. It goes really well in a bedroom, where you can dream of space while going to sleep. Have fun!